One of the most powerful capacities of the best art is that it allows us to see ourselves more clearly: to get a better understanding of who we are, how we act, and how we appear. Andy Warhol once said that his role as an artist was to be a mirror in which society could see itself. 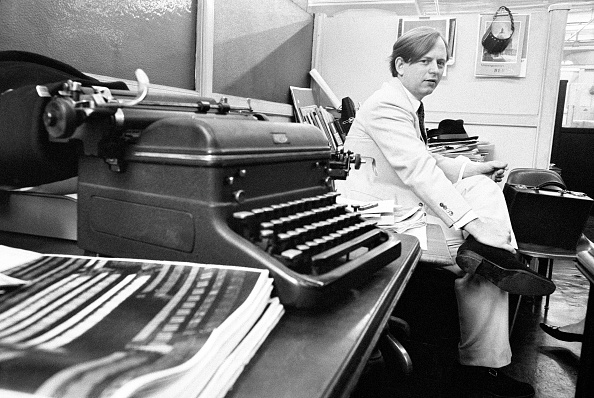 In the same years Warhol was pioneering Pop art, a journalist named Tom Wolfe burst on the scene with a style of writing that was immediate, impressionistic, vivid, and like nothing anyone had ever read before. Wolfe was born in Richmond, Virginia and graduated from Washington & Lee University in 1951, writing his honors thesis on anti-intellectualism in America. From there he entered Yale University, earning a Ph.D. in American studies. His first job after graduation was at a newspaper in Springfield, Massachusetts and he went on to the Washington Post in 1959. Three years later he moved to New York and began working as a reporter and feature writer for the New York Herald Tribune. In 1962, he trekked west to write an article for Esquire magazine on the custom car culture in Southern California which, when it was published the following year, revolutionized feature writing. The style quickly became labelled the “New Journalism” and his reputation was made. Like other great writers, Wolfe coined phrases that entered into the public consciousness by perfectly grasping something that everyone else had perceived but that no one had distilled into words. 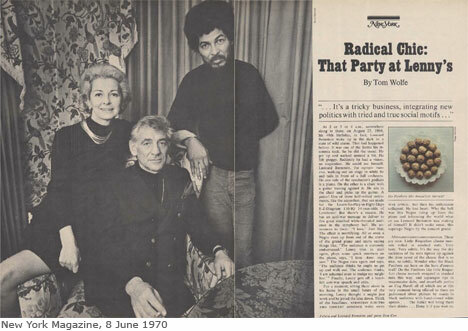 Two of those phrases became titles of his essays: 1970’s “Radical Chic,” about Leonard Bernstein hosting a fund-raiser in his Park Avenue apartment for the Black Panthers; and 1976’s “The Me Decade,” focusing on the rampant individualism coursing through American culture in the 1970s. In them, he turned a mirror to some of the most prevalent trends that shaped how Americans interacted with each other and labelled them in ways that still circulate today. 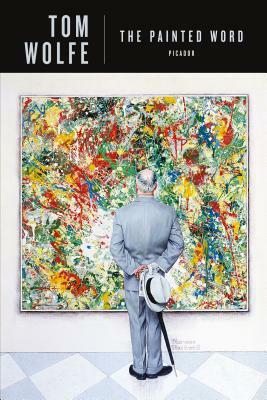 By the late ’70s he was criticizing American fiction writers for ignoring social problems and so began work on a novel. After years of observation and research, the result was the best-selling Bonfire of the Vanities, which came out in 1987. He followed it up with three more—A Man in Full(1998), set in the boomtown of Atlanta in the 1990s and a little like what The Great Gatsby would have been if Tom Buchanan were the main character; I Am Charlotte Simmons(2004), which turned an eye toward the state of American higher education at the end of the twentieth century; and Back to Blood(2012), set in the multicultural world of today’s Miami. Over the course of his lengthy career as a reporter, essayist, and novelist, Wolfe became one of the keenest social critics to dissect the American scene. His writing captured elements of America that no one else grasped quite so tightly. He let us see ourselves clearly, for all the good and bad that entailed, and he was, in the truest sense of the phrase, a gifted artist. He died Tuesday at a hospital in New York. Tom Wolfe was 88 years old. 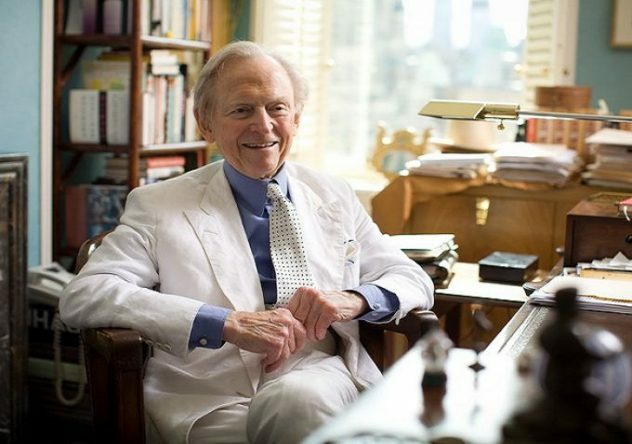 Tom Wolfe won my respect when he criticized fiction writers for ignoring social problems. This group of writers have an enormous stage from which they can call attention to the ills of society.